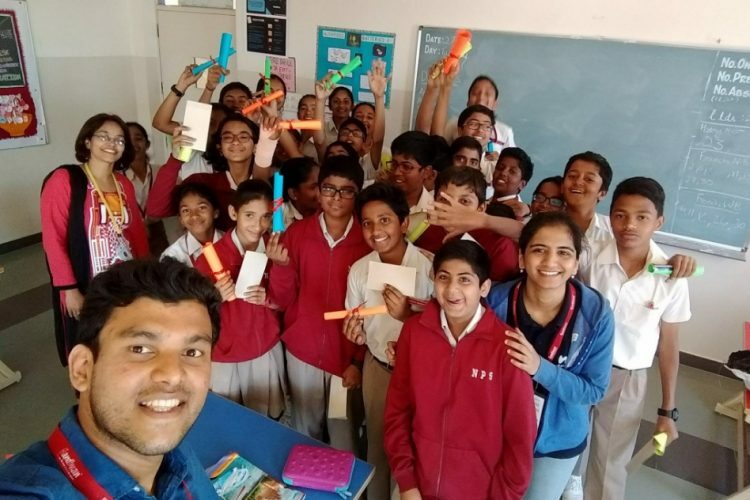 In November 2017, a group of 12-year olds – Ankita, Divya, Rashavi, and Swati – of the 7th grade from National Public School, Koramangala, Bangalore, started their organisation called BlueDrop to reduce excessive wastage of domestic water. 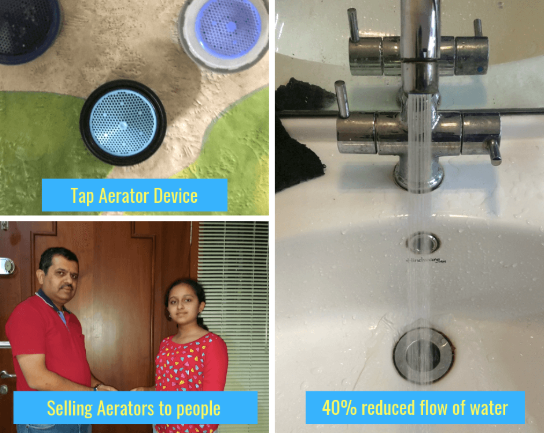 They bought tap aerators – devices that reduce the flow of water from taps by 40% – on Amazon for a price of Rs. 60. They went door-to-door in their community, sold and installed these aerators in their neighbours’ houses. In just 2 months, they had installed aerators in 40+ houses and were saving a cumulative 81,000+ litres of water monthly. Quite interesting and commendable for 12-year olds, right? It sure is. But guess what? This was just 1 out of a total of 22 different changemaker initiatives started by the 90 students of 7th grade from NPS Koramangala in 2017. 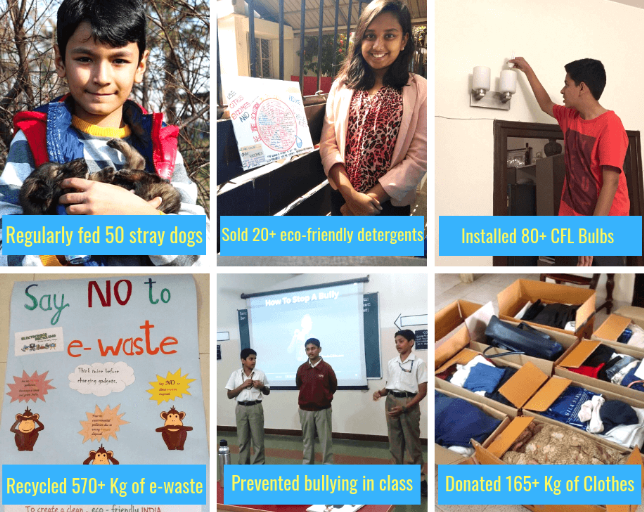 From tackling and eradicating bullying in school to filling potholes on the roads with a cheaper substitute for asphalt, to developing an eco-friendly detergent that causes no water pollution, the range and impact of initiatives were vast. However, in an education system where theoretical knowledge and exams are the priority, how did this transformation happen in this school? 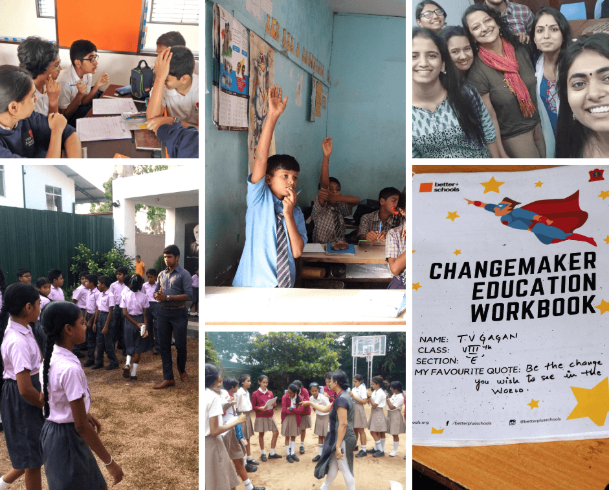 Well, thanks to the new Changemaker Education Subject – a curriculum taught to children in their schools – that empowers them to solve real-world problems. This unique curriculum is designed and delivered by a non-profit organization called Better Plus Education. “Right since college, I was interested in social entrepreneurship”, says Rahul Adhikari, the founder of Better Plus Education. “That’s why, even while I was working with startups right after graduation, I took up volunteering opportunities at NGOs like Make A Difference and Purkal Youth Development Society as a teacher, program manager, fundraiser and every other role where I could contribute. Soon, I realized that the ‘for-profit’ sector is not where I belong and that I wanted to use my entrepreneurial skills to do something with a more meaningful impact. So, one day, I quit my well-paying job and started looking for NGOs where I could work full-time. 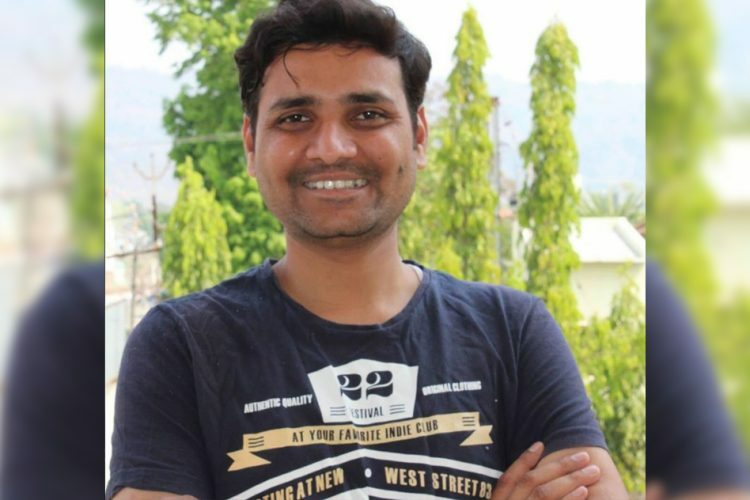 Though it took me some time to find the right place and it came with a 70% pay-cut, it didn’t matter at all because the impact I was making in the social sector was way more than in the business world,” Rahul shares. It was during his engagement with one of the NGOs – Ashoka – that Rahul got inspired by the concept of being a changemaker. When he was travelling to many parts of India and Sri Lanka, interviewing some of the world’s leading social entrepreneurs to be selected as Ashoka Fellows, he learnt that most of these social entrepreneurs had started their first real-world initiative right in their teenage years, thus developing a changemaker mindset from a very young age. This made him think deeply about the possibility of cultivating such a changemaker mindset in all children from a young age so that our society will not just witness a handful of changemakers, rather, every single child will be raised as a changemaker. These questions and thoughts, along with a year of research and development, gave birth to Better Plus Education and their robust year-long Changemaker Education curriculum. 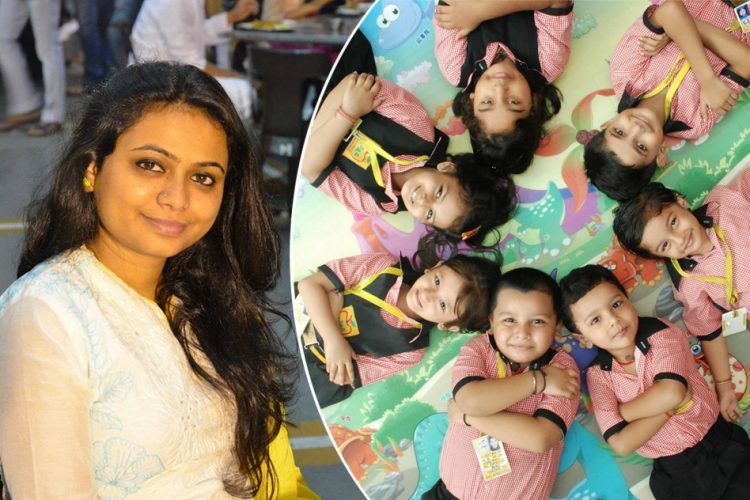 They ran a pilot in National Public School, Koramangala in 2017 and have rapidly grown to 7+ schools across India and Sri Lanka including the likes of Army Public School, Guidance International School, The Amaatra Academy, Government Higher Primary Schools among others. They are impacting more than 1,100+ children as of October 2018 in just their 2nd year of operation. The curriculum is delivered by a network of young and passionate volunteer educators who are selected for the 1-year long fellowship. The Fellows go to the schools once a week and conduct the sessions. 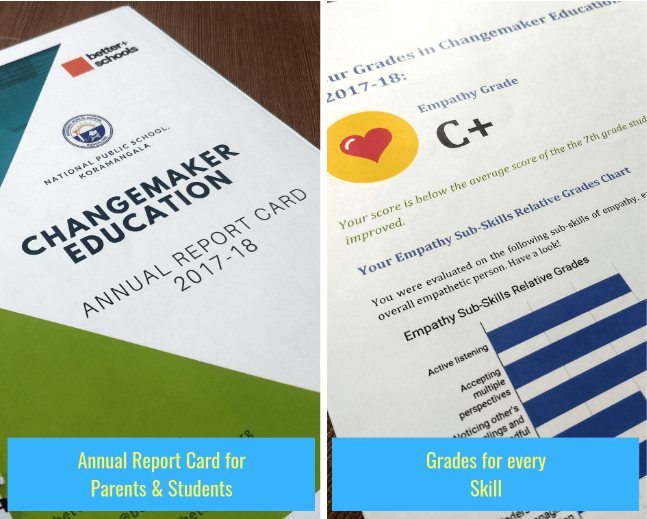 The Changemaker Education curriculum helps young children in schools to build the 4 core changemaker skills of empathy, teamwork, creative problem-solving and collaborative leadership, along with a changemaker mindset, something which does not happen in the current education system. The curriculum is divided into two parts. The first part focuses on building these skills through experiential, activity-based sessions. “Experiential transformative sessions, as opposed to theory classes, help students to understand and internalise the importance of the changemaker skills”, says Rahul. “For example, to develop empathy, our students have to perform everyday tasks, like studying, walking around, etc. wearing a blindfold for a day. This experience helps them to understand the life and challenges from the perspective of a blind person and come up with solutions to help them”. In the second part, the students form teams and start an initiative to solve a real-world problem they care about. 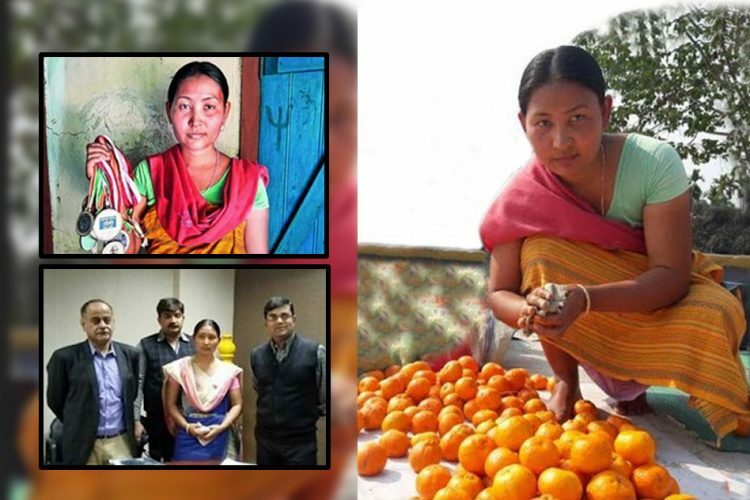 This gives them a platform to start their first entrepreneurial initiative at a young age and helps them in developing the core skills of change-making in the process. 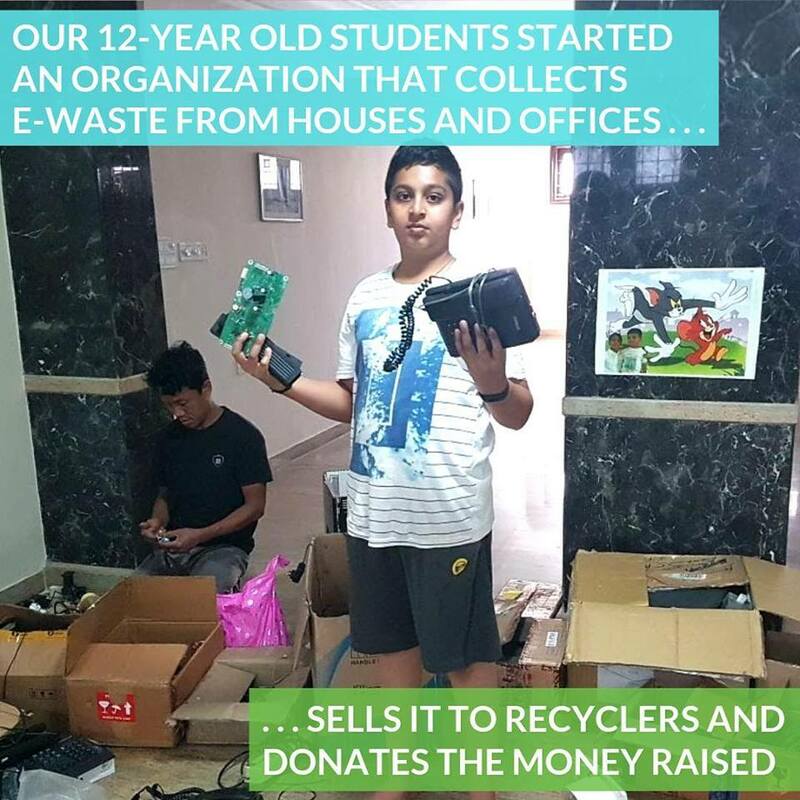 For instance, last year, one of the teams through their initiative “Profitable E-Waste” collected 570+ Kg of E-Waste from corporates and households, sold it to a recycler and donated the Rs. 21,000 they earned from it to NGOs. 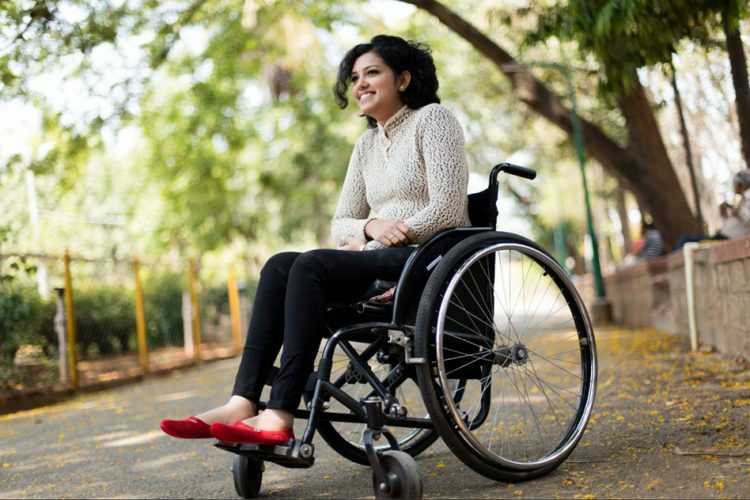 Aakarsh, one of the four students leading this initiative, said, “This was a really powerful experience that helped us believe in our abilities to cause massive change even at a young age”. 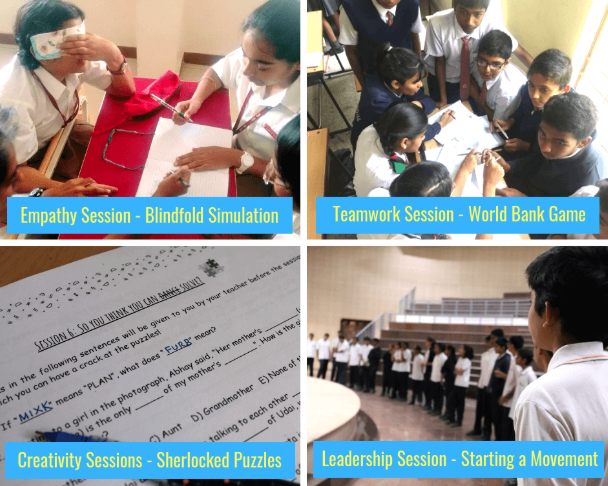 The curriculum also includes a unique 360° assessment that measures the skills of empathy, teamwork, creative problem-solving, and collaborative leadership in each student through a combination of self-assessment, teacher-based observation assessment, and peer-to-peer assessment that runs all year. Each student is given a detailed personalised report at the end that helps them identify their skill areas of strengths and skill areas that need improvement. Parents of many students have communicated that this has helped their children become more self-aware and focus on the skills that need the most attention. The team is working towards expanding to more schools in the coming academic year. Rahul says that in order to increase impact, partnerships with other organizations and easy replicability of the program become key factors. 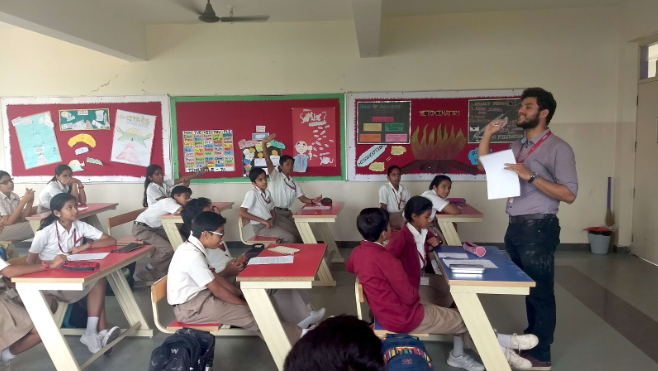 “We have already partnered with Teach for India Fellows in India to enter the government schools and Rotary Club in Sri Lanka to implement the curriculum in Colombo. We have also documented the curriculum into an ‘Online Changemaker Educator Replication Tool-Kit’ that can be used by anyone in the world to get trained and deliver the curriculum,” he informs. The Changemaker curriculum will also be expanded into a 3-year long intervention for schools soon. Apart from the curriculum, Better Plus Education has also launched an international competition called the International Changemaker Olympiad (ICO) where students from various schools form teams and start a social initiative and compete in a friendly way. Currently, in its 2nd edition, it has participation from schools from over 12+ states in India, Sri Lanka and Bangladesh till now, giving birth to more than 200+ student changemaker initiatives in just a year. “We are aiming to make all our interventions self-financing, but in the meantime, we are also looking to raise grant funding from institutions and corporates to employ a bigger team and accelerate our growth”, says Rahul. 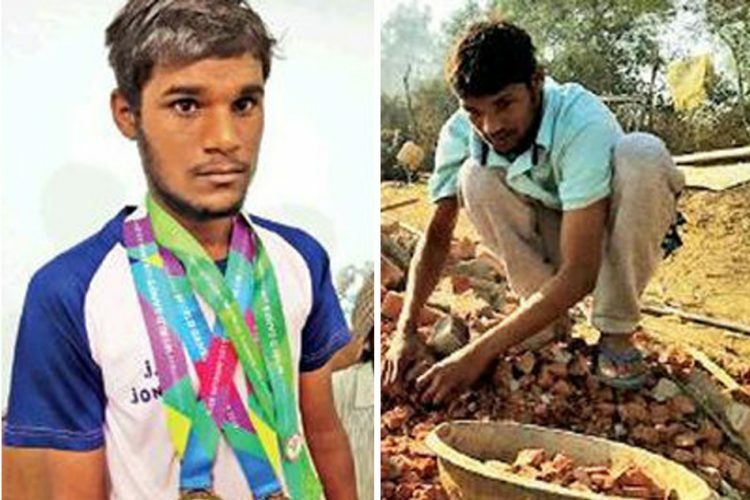 Thanks to media, gold medalist archer found selling oranges on highway, now gets a job.